Combining function and convenience in one package, try this Choice 64 oz. 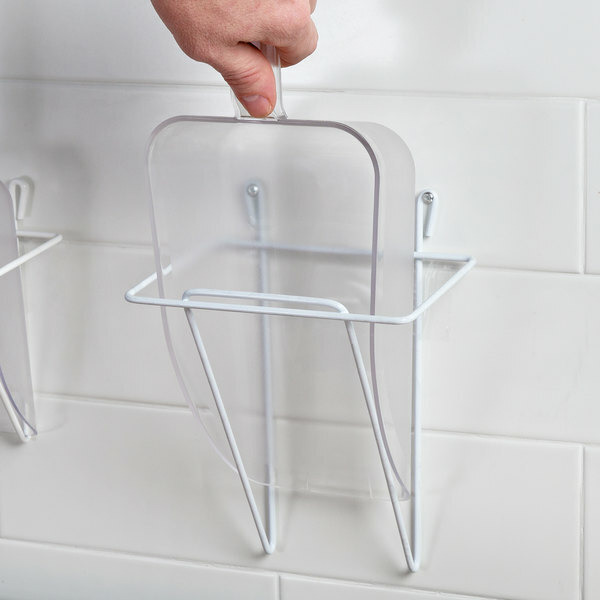 clear plastic utility scoop and large wall mount holder. This scoop and holder combo is perfect for busy kitchens and bakeries. 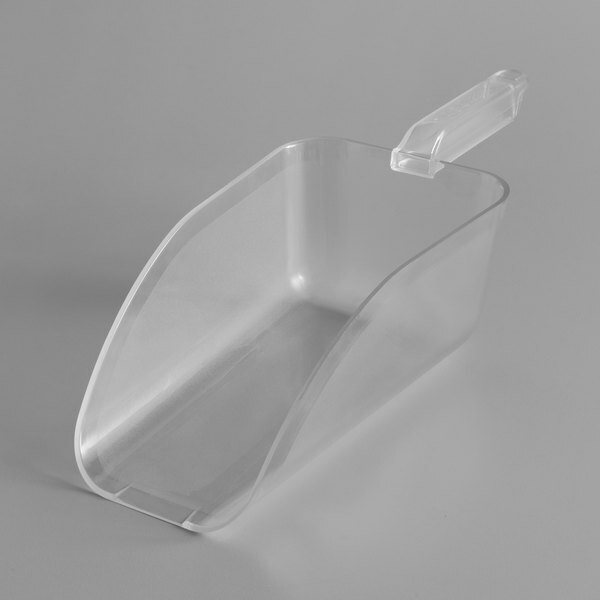 The clear utility and ice scoop is made of break-resistant polycarbonate plastic. It provides ultimate chip, scratch, and break resistance to withstand the busy environment of your establishment. And thanks to its plastic construction, this scoop is lighter than metal and incredibly easy to use and clean. The shape and size of this scoop make it a versatile item that can be used for scooping up to 64 oz. 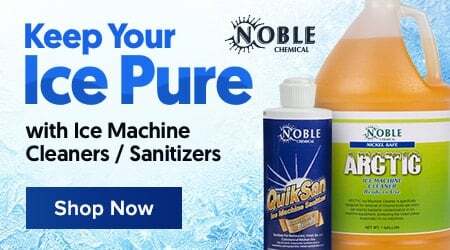 of ice, flour, or other bulk ingredients. 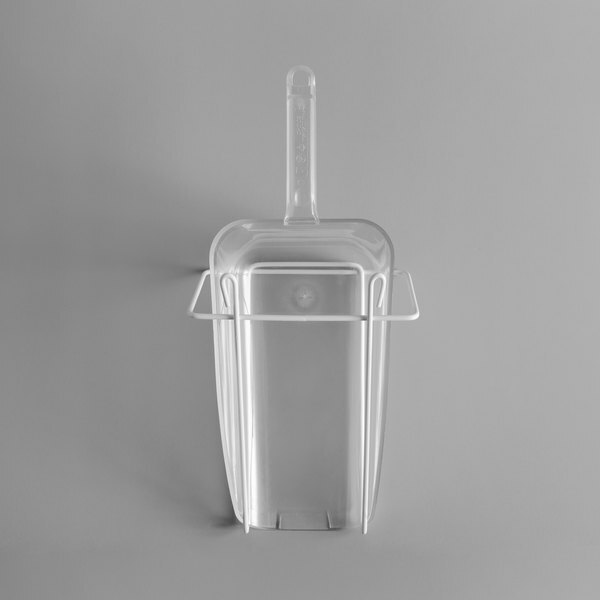 A beveled front edge is used for maximum product pickup, while its flat bottom makes it easier to scoop ingredients from the bottom of bins and corners.The included wall mount holder enables you to store your scoop outside of your ice or ingredient bin can help prevent contamination and keep your scoop sanitary. This small scoop holder features a clean and classic white color. 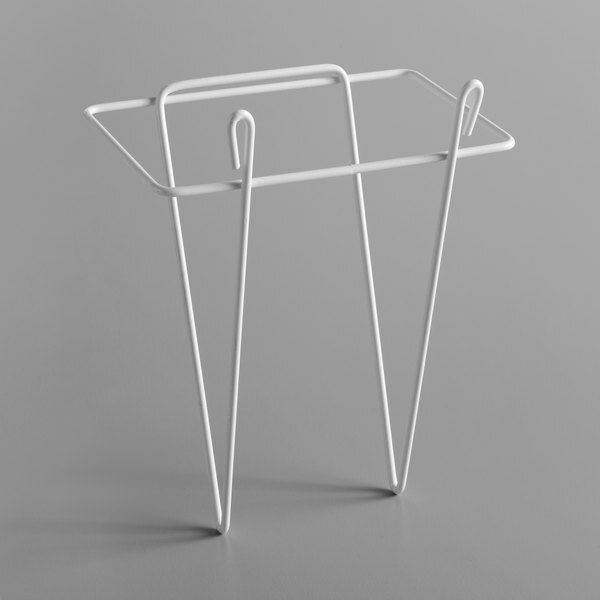 It's made of white, epoxy-coated steel, so it's sure to hold up to busy use in your commercial kitchen. This holder even includes mounting hardware so you can easily mount it where you need it most, and start using it right away. 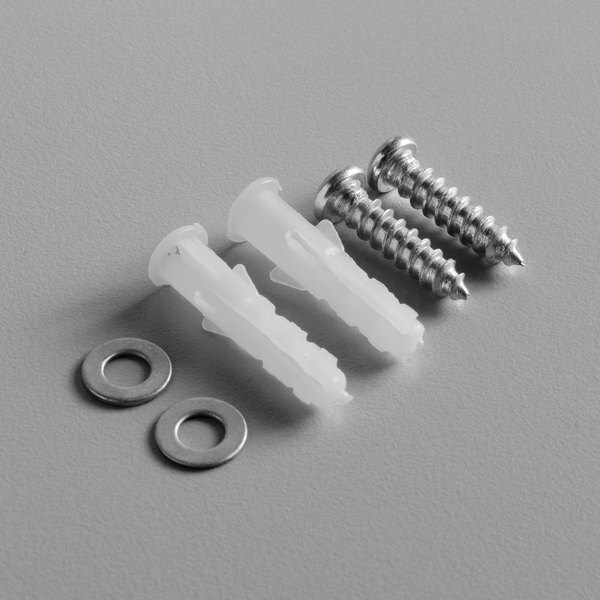 The hardware includes 2 screws, 2 washers, and 2 plastic drywall anchors. 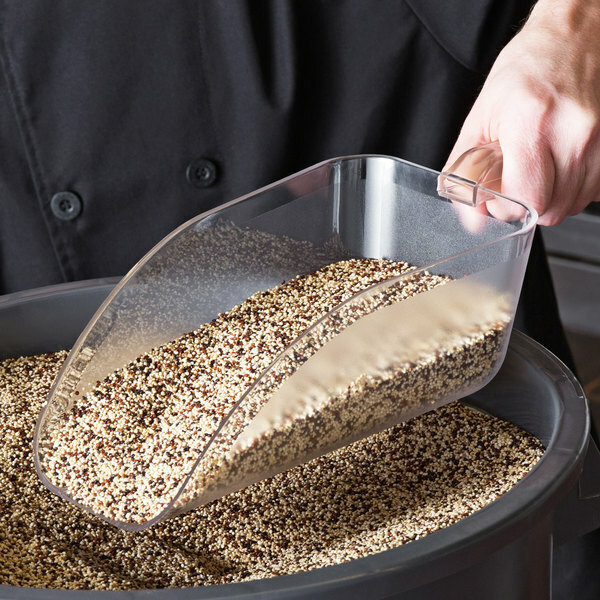 The open design of this Choice scoop holder securely holds your scoop while making it easy to access. A scoop holder, like this one from Choice, will help prevent scoop damage so you won't have to spend as much money on replacements! This sanitary option also keeps your scoop out of bins and off of tabletops!